And before you run for the hills screaming "anything but Chardonnay", I have to tell you, I love Chardonnay. And no, it doesn't all taste like the oaky Chardonnay you remember from 10 years ago. Chardonnay, which ripens easily, is one of the most widely-planted grapes in the world. Although many people have preconceived ideas of what the grape tastes like, its flavour is actually quite neutral, so what you are tasting when you sip a glass of Chardonnay is the imprint of where the grapes were grown - the terroir, which is not just about the soil, but also the climate of the region. How the wine is made also has a huge impact on the flavour. Just think for a minute of the difference you could expect from a wine that is fermented in a stainless steel tank and one that is fermented and aged in oak barrels. Before you jump to any conclusions, both styles of wine-making can result in outstanding wines. The grape is most famously associated with Burgundy and takes its name from the village of Chardonnay, which is in the southern part of the region, near Uchizy in the Mâconnais. And here's an easy-to-remember fact: over 90pc of white wine in Burgundy is made from the Chardonnay grape. If you want the bonus answer, the other white varieties are Aligoté, Sauvignon Blanc and Sauvignon Gris. But really, when it comes to white wine, it's all about Chardonnay, and Burgundy is the region that put the grape on the map. As its fame spread and the wine world expanded in the late 20th century, so too did plantings of this very versatile grape. So you'll find Chardonnay across Europe, in North and South America, Canada, South Africa, Australia and New Zealand. This means, at wine tastings, chances are there is going to be a Chardonnay, and I have tasted some really great examples over the past few months. Among the classics was a line up from Louis Jadot which included Puligny-Montrachet, Chassagne-Montrachet and Chablis Fourchaume - textbook Burgundies which you'll find in O'Briens and independent wine shops; and Clos du Chateau Chardonnay, which is imported by Pembroke Wines, and is worth looking out for on restaurant wine lists. Chardonnays from the Jura region of France have quite a different personality, and for something really different, Arbois Chardonnay 'Patchwork', a biodynamic wine which is imported by Nomad Wines and is available through siyps.com, has the broad flavours you get with a wild ferment, with layers of apple, lemon, apricot and touch of buttery almonds. But the change in style you are most likely to notice is what is now being made in the Margaret River region of Australia and in the cooler regions of New Zealand. I spent a bit of time chatting to Warren Gibson of Trinity Hill in New Zealand, where their Gimblett Gravels Chardonnay, which is planted on stony soils of the former Ngaruroro River bed, is hand harvested and fermented naturally in large, 500 litre French oak puncheons. He says that, without realising it, they have evolved into making Chardonnay in a style similar to how it would have been made in Burgundy 100 years ago. 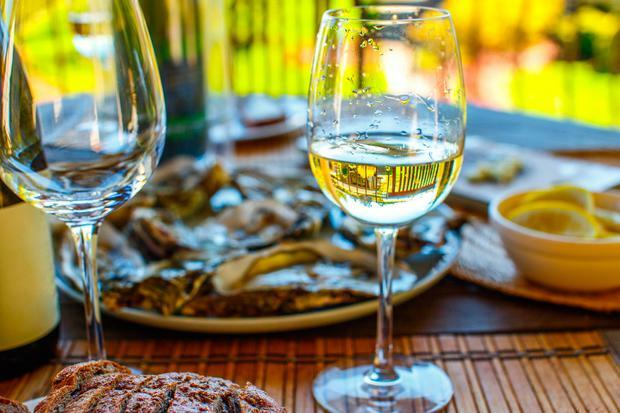 The wine has a distinctive flinty character, almost like a struck match, something that is often associated with the premium white wines of Burgundy. Good news for gin fans. Hyde Bar & Gin Parlour has recently opened in Galway, with the largest selection of gins in Ireland, sourced from all over the world. Over 500 gins are listed by country in the leather-bound, handmade gin bible, with some more unusual than others. If you're looking for something special, try the glittery 'Unicorn Tears Gin' which is described as a bittersweet gin experience made from "a bunch of secret ingredients". And there's also a good selection of rums, vodkas, and tequilas, with Irish craft beers as well as Japanese beer on draft. hydebargalway.ie. If you’re looking for value in Burgundy, try the Mâconnais region and this wine made by Bouchard Aîné & Fils has a light tropical layer over a citrus acidity with a creamy kiss of oak. Perfect on its own or serve with roast chicken. From the foot of the Sierra de Guerinda in the Navarra region in Spain, this Chardonnay has a floral nose with lively flavours of peach, apricot and a solid streak of acidity from ripe lemon. Good to drink on its own or to have with salads, fish, or lightly spiced chicken. A Chablis is the purest expression of Chardonnay; this wine has linear acidity, crisp citrus flavours, and a perfumed note of peach. Great with white fish. Layers of acacia, grapefruit, lime, roasted hazelnut and a whiff of gun flint combine to make this complex, elegant wine. Worth the splurge.